A BARRIER version of Sirane’s award-winning plastic-free packaging solution is now available – with options including stand-up pouch, bag and flow-wrap film. Sirane’s plastic-free packaging ‘Earthpouch’ won a top prize at the UK Packaging Awards – taking first place in the Resource Efficient Pack of the Year category. 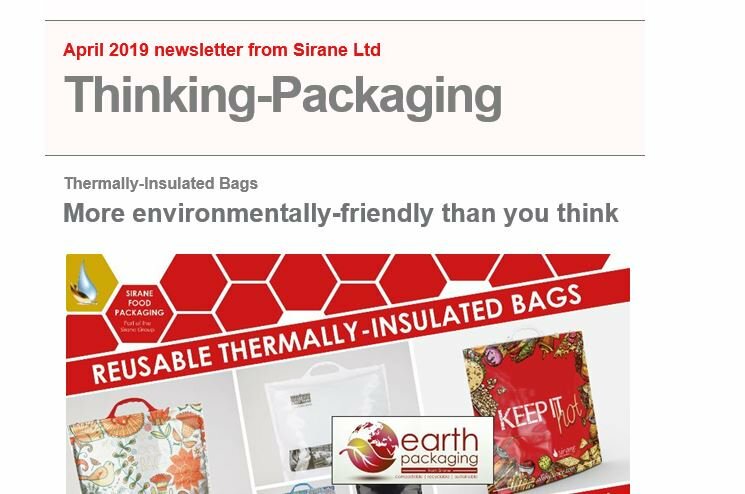 And a barrier version is hitting the shelves soon – with a high-barrier version set to follow soon – as Sirane’s Earth Packaging range continues to expand. Simon Balderson, Sirane MD, said: “Earthpouch is a great product, a paper-based packaging solution with a natural coating that makes it entirely plastic-free. The Earthpouch – an industry first – is made from a paper with a 100% plastic-free heat-sealable coating which is then formed into a preformed stand-up pouch which provides total food security for dry and moist food products. The material is now also available as an Earthbag and as a flow-wrap Earthfilm with the same properties. Simon Balderson added: “One of the great things about the Earthpouch is that it is also cost-effective, often environmentally-friendly packaging comes at a cost, with Earthpouch that’s not the case, there really are no negatives. One of the common questions with pouches like the Earthpouch is ‘how to we pack it?’ We’ve also recently added a pouch-filling line to our offering, the M7, which is compatible with the Earthpouch as well as a range of other materials. The UK Packaging Awards success comes on the back of a great few months, in which the plastic-free packaging has earned serious industry recognition. The Earthpouch was recognised earlier this year at the Sustainable Food Awards in Amsterdam, where it finished third in the sustainable packaging category. And we’ve also been awarded a Green Apple Environment Award for Environmental Best Practice – which will be presented at the House of Parliament on November 12. For more information, contact Jeremy Haydn-Davies on 01952 230055, email jeremy@sirane.com.